When your rights, freedom and reputation are on the line, having an experienced criminal defense lawyer on your side can mean the difference between dismissal or acquittal and conviction. I am Douglas J. Rudman, a Boca Raton criminal defense attorney serving clients throughout South Florida. A former state prosecutor, I am committed to pursuing justice on behalf of individuals charged with a wide variety of misdemeanor and felony offenses in both state and federal court. 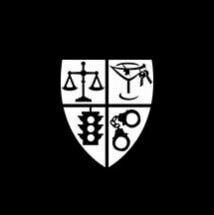 My experience includes cases ranging from traffic tickets, DUI charges or drug possession to serious felonies such as sexual assault, armed robbery or homicide. I also represent clients facing federal charges such as federal drug conspiracy and white collar crimes. Having worked on both sides of the courtroom, I bring my hands-on experience and knowledgeable trial advocacy to help you achieve the best possible outcome. In addition to fighting for your rights in court, my job as your attorney is to also provide comprehensive counsel to help you move forward. I aggressively seek sentencing alternatives for those who need help overcoming issues such as drug and alcohol abuse, anger management and other concerns. My goal is to help clients obtain the services they need to move forward permanently and confidently. In addition to my practice, I am committed to educating others about the criminal justice system. I have spoken to numerous schools, community groups and programs on issues of domestic violence, drug and alcohol abuse and other criminal law matters. I have also received a Superb rating from Avvo as well as the organization's 2012 Clients' Choice award, among other distinctions. If you need justice, contact my law firm, the Law Office of Douglas J. Rudman, P.A., to schedule a free initial consultation. I accept all major credits and offer services in Spanish and Portuguese.